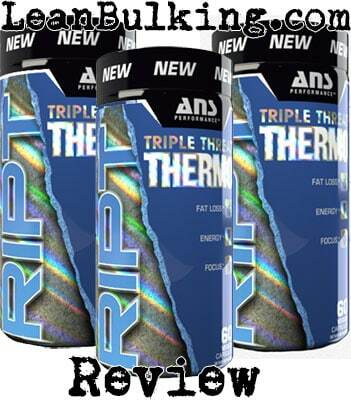 RIPT Triple Threat Fat Burner Review | ANS Performance | Does It Work? 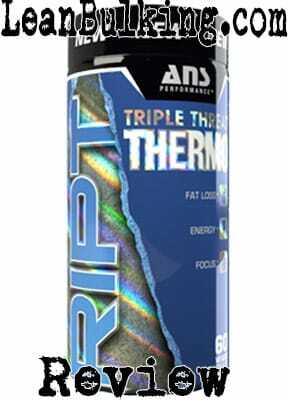 RIPT Fat Burner is marketed by ANS Performance, and is designed to help you lose fat. It comes in 60 capsule containers, with a serving size of 1 capsule per day. We prefer fat burners that have serving sizes of 3-4 capsules per day - so you're body is always topped up with key ingredients needed to increase fat burning potential. ANS Performance are a supplements company based in the USA. They market a range of supplements, from fat burners to protein powders - and even snapback caps. 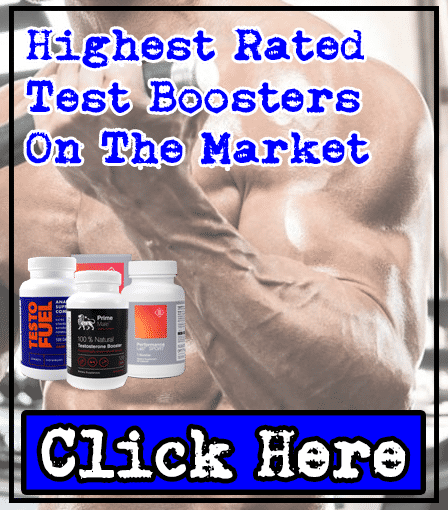 However, there wasn't much more information available about them - but you're here to see how good RIPT Triple Threat Fat Burner is, and that's what we're going to tell you below. 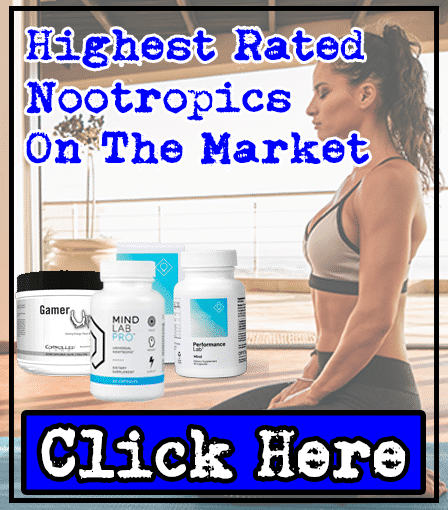 This is the most important section of this review - you can see how effective a supplement is from it's ingredients and dosages (and more importantly, whether it causes any side effects). But first we need you to know that there's a proprieary blend inside RIPT Fat Burner - which increases your risk of side effects. Proprietary blends are mixtures of numerous ingredients that're shown to you as one quantity (in this case, the RIPT Tea Complex is 300mg, but you don't know the exact dosage of each ingredient inside). This is a problem, as it's better to know exactly what you're putting into your body - and in the exact dosages. For this reason, we'll take you through each ingredient inside RIPT Fat Burner (so you can see how good it really is). This is one of our favorite fat burning ingredients for one reason - it works. It's been known for centuries in Asia that Green Tea is beneficial to almost every organ in your body, but it's most recently become popular for it's ability to promote fat loss. ANS Performance has done a great job here by adding 2 different forms of Green Tea Extract (Matcha and Green Tea Leaf) - but to be honest, it's only necessary to have one in a fat burner. Not only that, the overall dosage of the proprietary blend it's inside is 300mg, which is small. Simply put, only Green Tea Dosages of at least 500mg has shown to work in studies. For this reason, the Green Tea Extract in RIPT Fat Burner might be ineffective (this shows you how important the dosages of ingredients can be). Caffeine is our favorite stimulant in any fat burner, as it's the safest stimulant on the market (it's consumed in tea & coffee around the world without causing side effects). The only problem is when companies add large dosages (over 300mg daily in fat burners), which can cause jitters or energy crashes. 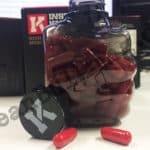 ANS Performance has added a 300mg dosage, which would usually be great - but it becomes a problem as they've made the serving size 1 capsule per day (meaning you're consuming 300mg Caffeine in one serving). To put this into perspective, this would be a high amount for a pre-workouts (which are designed to get you PUMPED for your workout). We believe you should be able to take fat burners at anytime, such as at work - if you took RIPT Fat Burner at work, you'd be getting restless due to the high amount of caffeine per capsule. This is part of the reason why we prefer fat burners to have serving sizes of 3-4 (so the Caffeine dosage is spread out, and your body is constantly fuelled with fat burning nutrients). This is one of our favorite pre-workout ingredients, but RIPT is a fat burner supplement. Basically, L-Theanine is a relaxing agent that can help keep you focused and enhance the benefits of Caffeine (meaning companies can reduce the dosage of Caffeine in their pre-workouts). 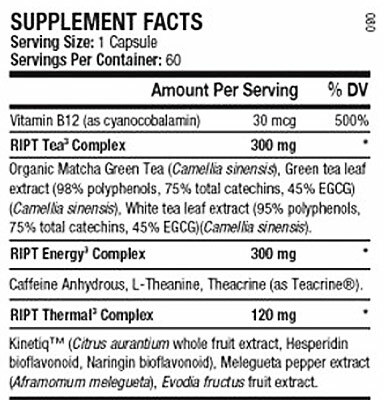 However, RIPT Fat Burner contains a big dosage of Caffeine for a 1 capsule serving - so L-Theanine won't do much here. 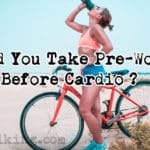 ANS Performance only needed to add a Caffeine dosage of 150mg if they were always planning on adding L-Theanine too (but again, this is more suited to pre-workout supplements than a fat burner, as it hasn't shown to promote fat loss in any studies). Theacrine is the 'new kid on the block' when it comes to stimulants. As we've mentioned, Caffeine is the best and safest stimulant available (partly because it's been around for ages and there's been loads of research on it). As Theacrine is fairly new (as of 2017), it's not known how safe it really is - or more importantly, how effective it is. All we know is that Theacrine might be slightly more beneficial, as it's been suggested that humans don't build a tolerance to this stimulant. However, at least for the next few years, Caffeine will still be the king of stimulants - we know it's safe and effective, so there's no need to try and fix something that's not broken here. 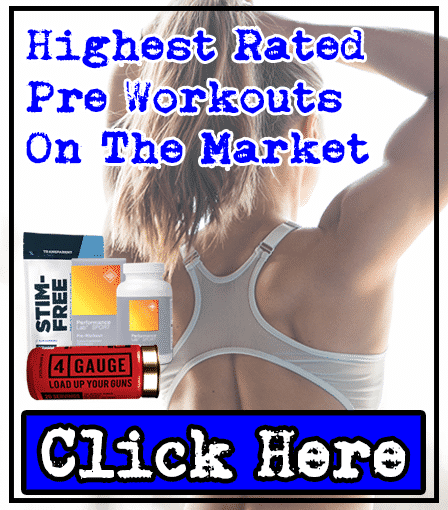 Synephrine is one of the worst ingredients you can find in a fat burner; basically, it's shown to help you burn fat, but it's also been banned in numerous countries (such as the UK & Canada) after causing harmful side effects. There any many great ingredients that don't put you at risk of side effects, so it's better to choose supplements that contain them instead. For this reason, we try to avoid any supplement that contains Synephrine. Hesperidin is a compound found in orange peels that's believed to improve your blood flow and improve your focus. However. it's only shown to provide these benefits in dosages of at least 500mg - the proprietary blend that Hespridin is part of only adds up to 120mg (meaning it's not possible for there to be an optimal dosage of Hesperidin in RPIT Fat Burner. Not only that, Hesperidin isn't a key fat burning ingredient anyway, as it's not shown to promote fat loss. This is a flavanoid found in grapefruit juice, and is believed to improve your cholesterol levels. But this isn't a key reason why you'd buy a fat burner, meaning it's useless in RIPT Fat Burner. Malegueta is a form of chilli pepper, which is a great addition to any fat burner - as chilli peppers have shown to raise your metabolism and promote fat loss. Everyone knows that chilli peppers make you sweat after you eat them - so you know it works to raise your body temperature (which is exactly what boosts your metabolism). It's proven to work, which is why chilli peppers are one of our favorite natural fat burning ingredients available. The fruit from the Evodia Fructus tree (which is found in China and Korea), is believed to treat digestion problems and diarrhea. However, this isn't a key benefit of taking a fat burner, so we consider this as a useless ingredient in RIPT Fat Burner. There are 2 things that can cause side effects in RIPT Fat Burner - the 300mg Caffeine dosage in 1 capsule, and the Citrus Aurantium (Synephrine). Simply put, large dosages of Caffeine can cause jitters and energy crashes, and Synephrine's been banned the UK & Canada (among other countries) after causing harmful side effects. This isn't the worst fat burner we've seen on the market, but it's certainly not the best. We believe fat burners should have daily serving sizes of 3-4 capsules, so your body's always fuelled with fat burning ingredients to help you get that 6-pack. 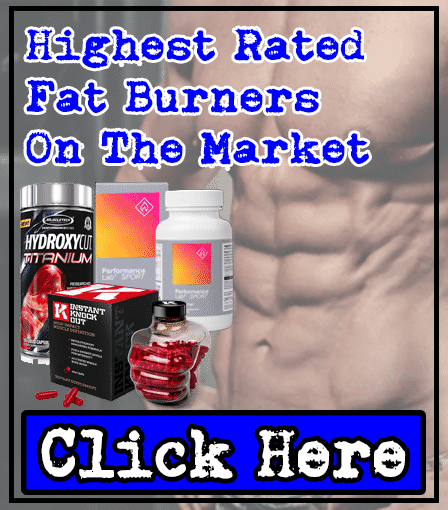 The problem with 1 capsule servings, is that your body will process all the ingredients within a couple of hours, then you won't benefit from the fat burner for most of the day. Not only that, RIPT Fat Burner contains Citrus Aurantium (Synephrine), which has been banned in numerous countries after causing harmful side effects (as you can see in the side effects section). 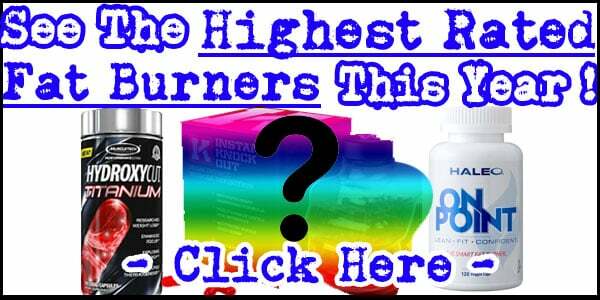 Although RIPT Fat Burner isn’t the worst, it can’t compete with our favorite fat burners on the market.